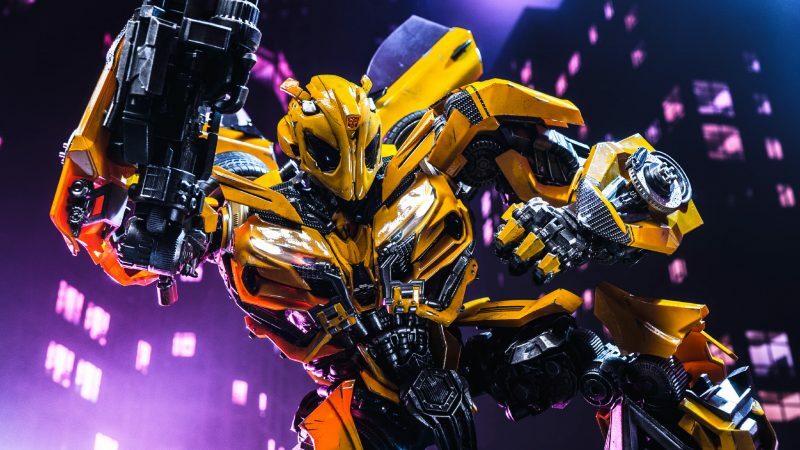 Transformers the Last Knight Bumblebee from 3A. Non-transformable, but fully articulated with lights and accessories. 15 Inches tall.